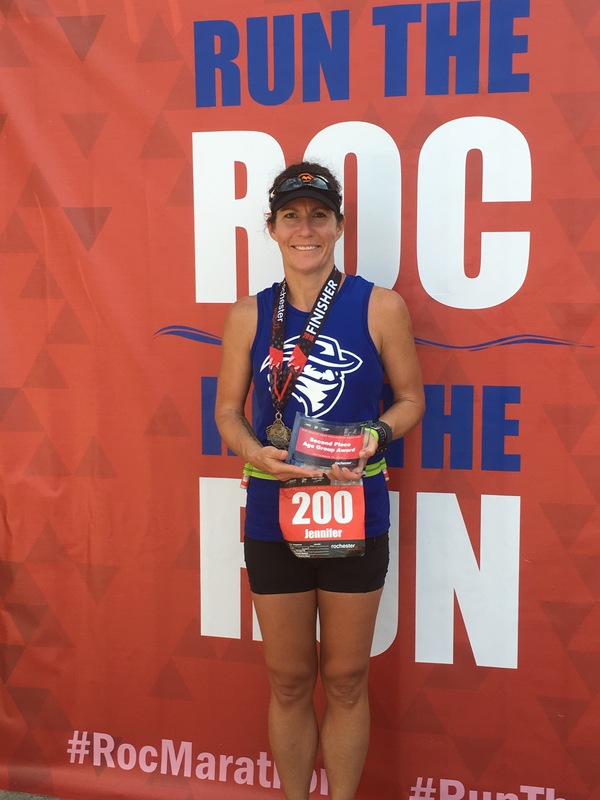 Back in the winter months when I was planning to run the Big Cedar 50 miler this November, my coach advised me to find “a hilly marathon to run in late September/early October” as a warm up to the 50M. I started looking around and found NOTHING in Texas that fit the requirements. So I expanded my search to surrounding states and found nothing. When I started considering farther away states, I had the idea to start looking in states where I had friends. So I started looking then asked Jenn to send me her race schedule. Low and behold, she was to run her first full marathon on September 18. So we started talking about it and she was SO excited, but I cautioned her it was a bit earlier than Brent had suggested so I had to get it cleared through him. He did and I signed up immediately! 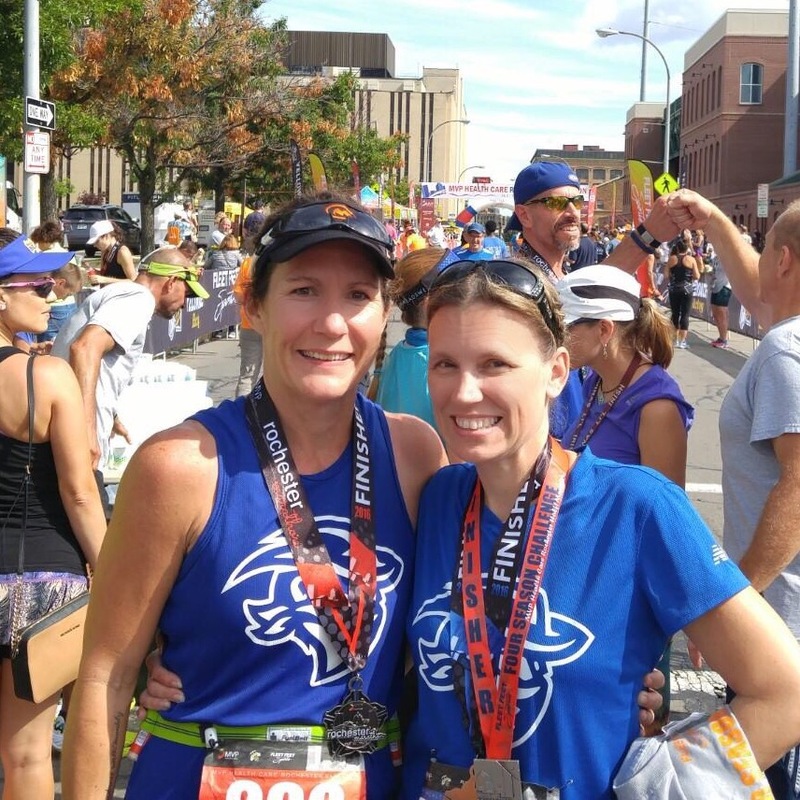 I was so excited to have the opportunity to be there when she crossed the finish line to become a marathoner!! Fast forward. Jenn started having pain in her knee…or at least she thought it was her knee. She ran about 3,000 races before she broke down and consulted medical attention (mind you, she is a MEDICAL PROFESSIONAL). Diagnosis: stress fracture in her femur. 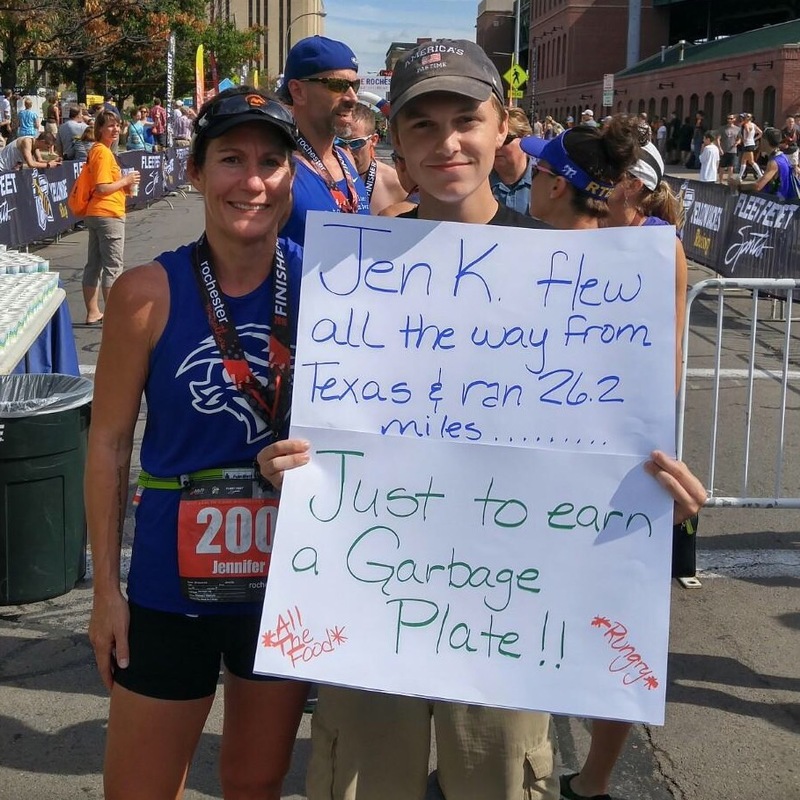 This meant she wouldn’t be able to run the marathon….or the half-marathon. I felt SO BADLY that I would be going up there for her to wait around for me to cross the finish line. On the flip side, she felt SO BADLY that I was coming up to run a race that she could’t run. So we both felt badly, but there was no way that I would have cancelled!! She was the ONLY reason I chose that race!! My own struggle with my psoas and running in the Devil’s Armpit is well documented so I won’t revisit it here. Suffice to say that I felt unprepared for this race simply because of the Jedi mind tricks the heat played on my brain. Race week finally arrived and OFF I GO! Friday came and I was ready to go!! My bag had been packed for days…..well, my race gear at least! My day didn’t start exactly as I had planned. I had packed greek yogurt, boiled eggs and some almonds and cheese for the trip AND TSA MADE ME THROW THE GREEK YOGURT AWAY. I was so mad. Our security is SERIOUSLY A BIG *&^%(*& JOKE!!! <insert stress here> My metabolic efficiency plan is lower carb and currently no grains….try finding anything to fit that description in an airport! I looked at the yogurt that was available in a couple of places, but it was too high in sugar and carbs so I decided to eat my eggs and add cheese or almonds. My fat intake would just have to be a little higher than normal. This trip seemed to take FOREVER! I was so ready to see my friend!! 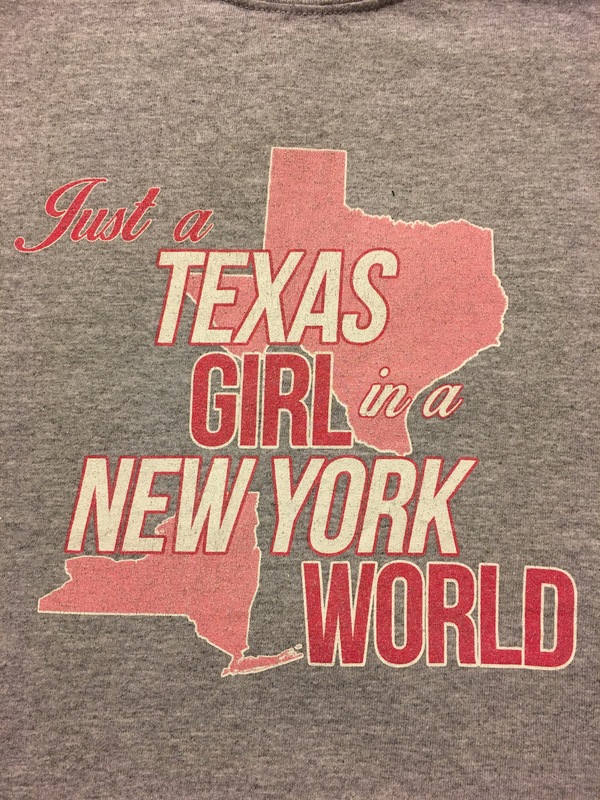 When my plane FINALLY landed, I was walking to the luggage carousel and I saw the “Ain’t Texas” shirt first before I noticed who was wearing it. IT WAS JENN!!!! We dropped my bags, picked up our packets, went grocery shopping for my special diet and for the weekend then headed off to Joshua’s football game. (Football in New York is WAY different than Texas, btw!) It was a crazy busy afternoon! Jenn had this box waiting for me!! She is so thoughtful. Saturday we didn’t have set in stone plans. We slept in (until 7 AM!) and drank coffee for quite some time then decided to head out for my 2-mile run before the rains came. Jenn rode her bike alongside me and we talked and chatted the whole way. The run felt SO GOOD. When we got back home, her husband, John, was finishing up breakfast. 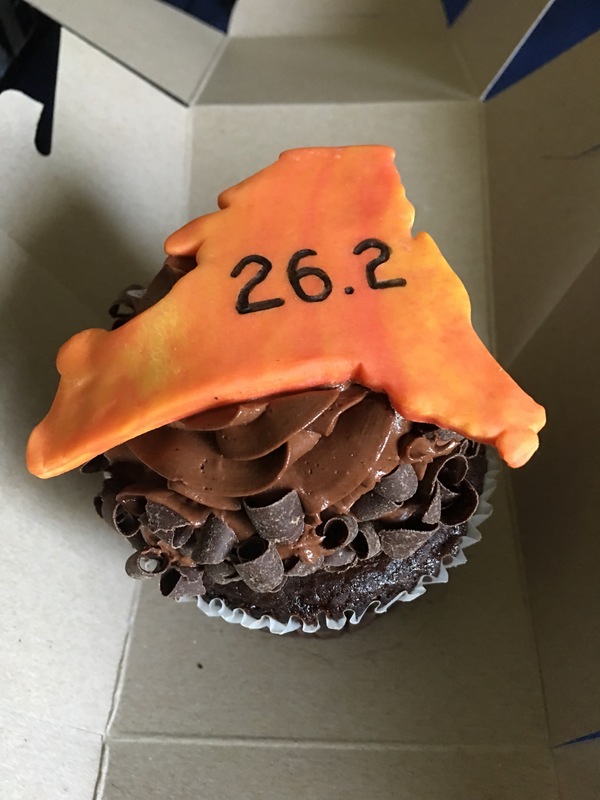 Bless their hearts for being so accommodating with my pre-race food binge/special diet. I say this because I had to eat SO MUCH FOOD (and it was so specific)! LOL My ME specialist with whom I am working sent me a very detailed plan. I followed it almost to the letter (I had to make some modifications for lunch.) We didn’t have breakfast until 10AM, so with the late start I had even less time between meals to get all this food down. 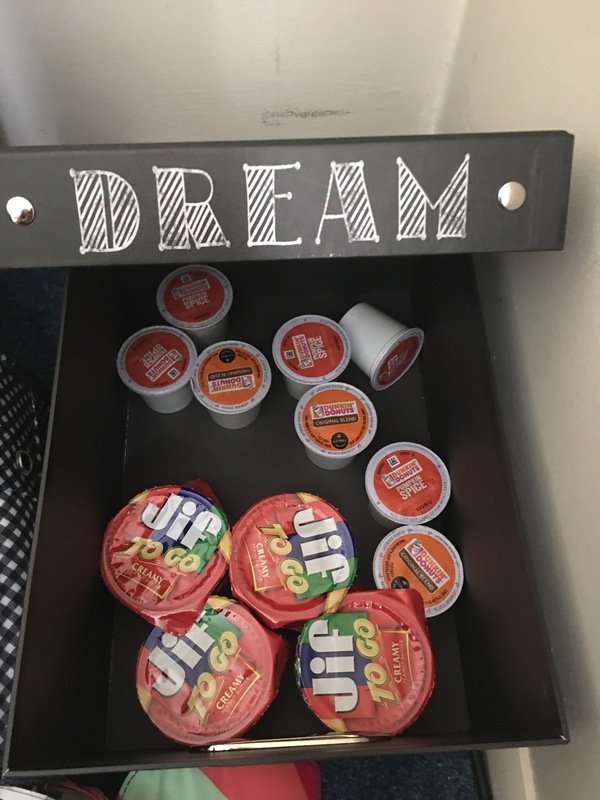 I felt as if I needed to be rolled away from the breakfast table – I was so full! Jenn wanted to take me around Rochester, so I made my between-breakfast-and-lunch-smoothie and we headed out. 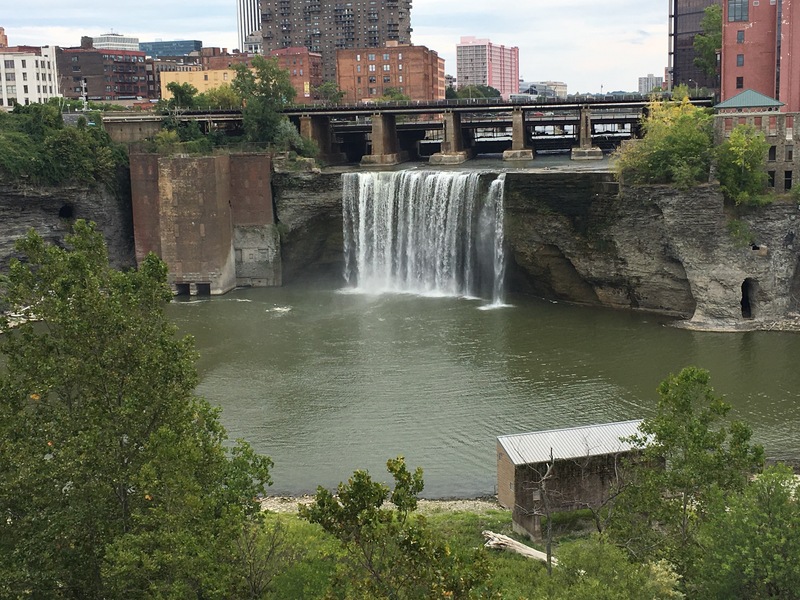 Our first stop was Genesee Brewery, which is located right on the Genesee River. I WAS STILL SO FULL – by now it was after Noon and I had downed my smoothie in the car. 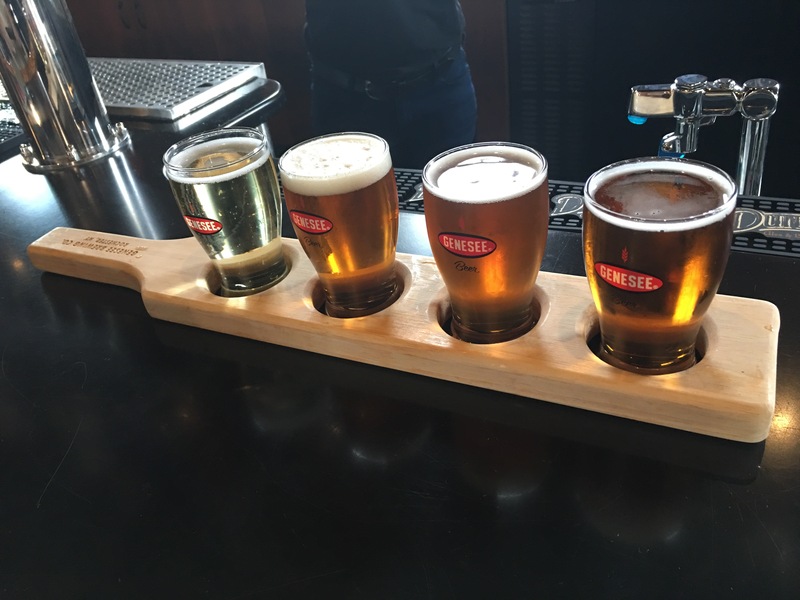 I couldn’t drink much, so we decided to get a flight and share. (The beer here was the best of the day overall, by the way!) I SWEAR I only sipped!! The cider was for Jenn. I personally don’t consider it worthy of drinking. 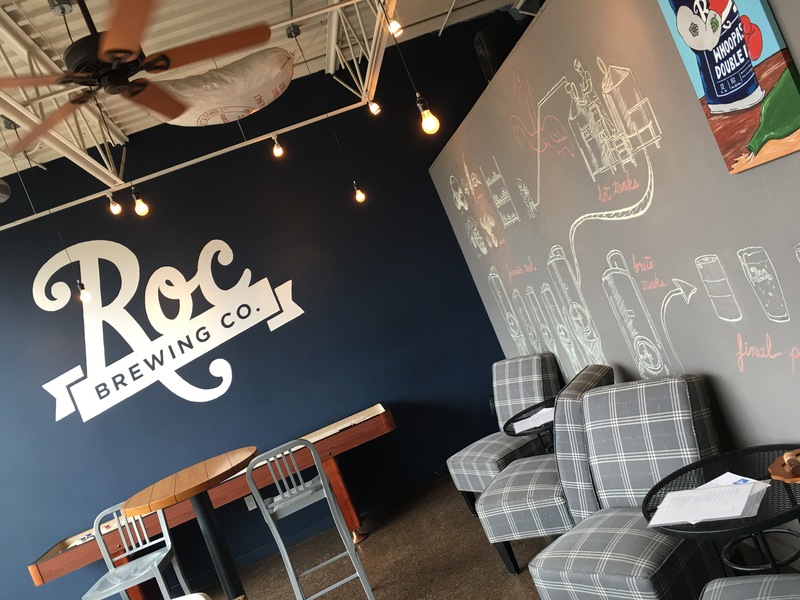 Our next stop was Rochester Brewery. 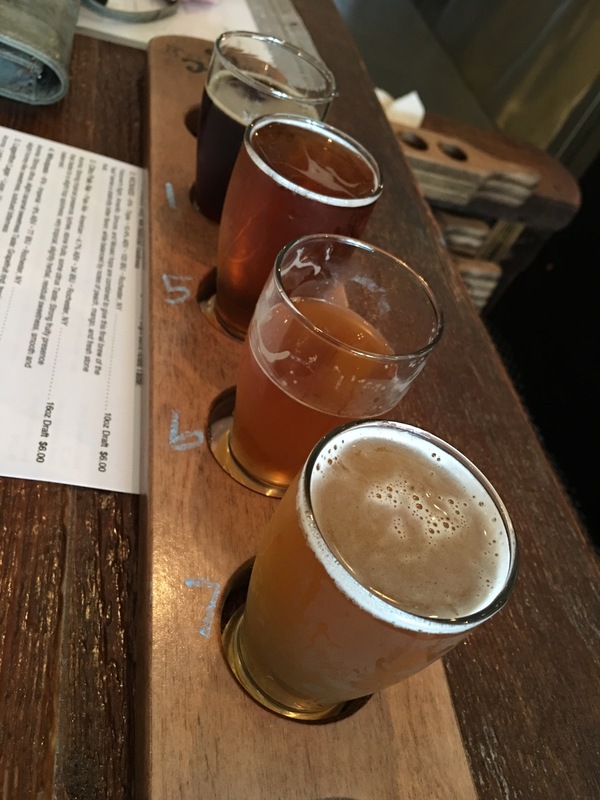 The beer here was OK, but they had a scotch ale that tickled my taste buds, so it was my favorite beer of the day. 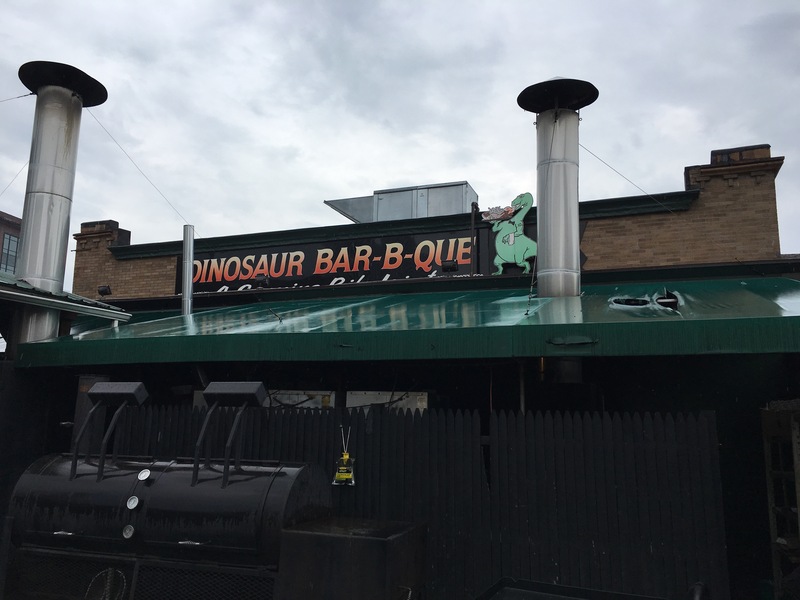 For lunch, we went to an apparently famous BBQ restaurant – Dinosaur Bar B Que. 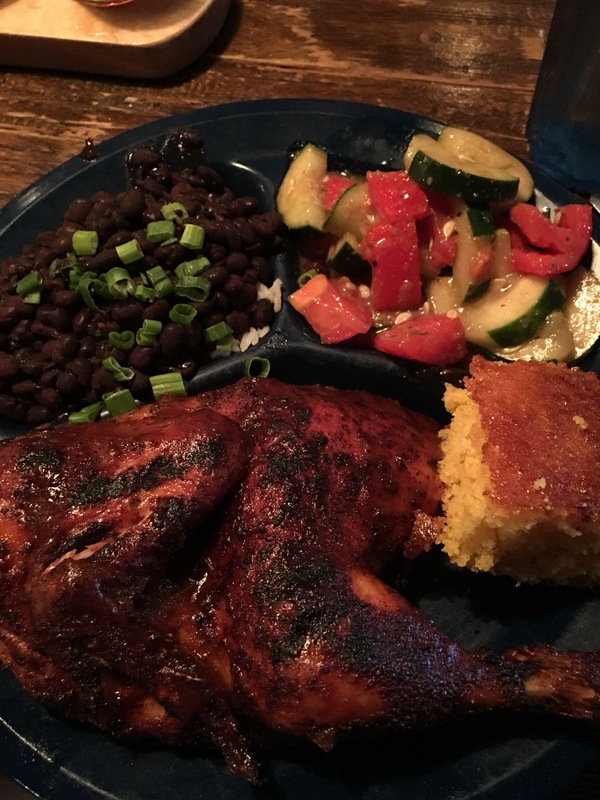 It was delicious, but different than Texas BBQ. 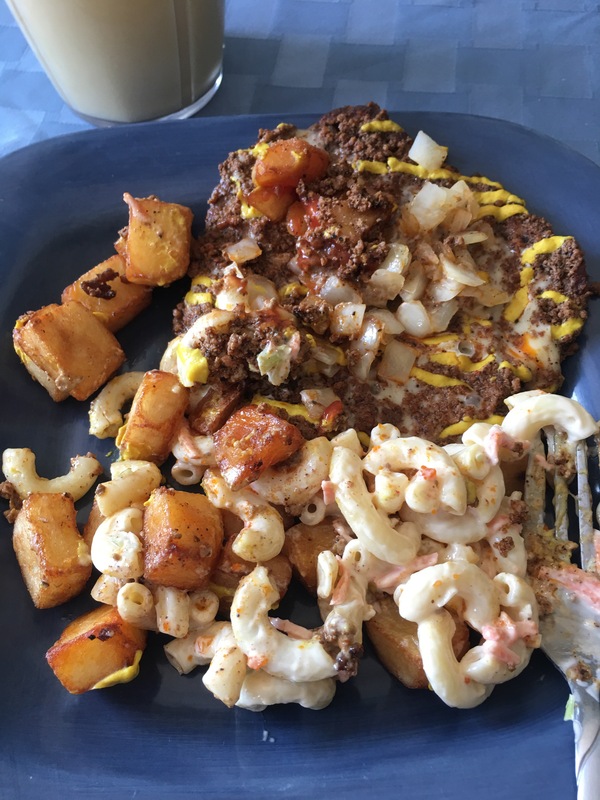 Of course, I was still stuffed from breakfast and smoothie but that didn’t stop me from stuffing my face…again! After we ate, we made our way home for a quiet pre-race evening and late dinner. I slept like a baby. It seemed like I had just closed my eyes and my alarm was already going off!! I fixed my race-day breakfast, got all my gear together and we were headed to the start line! 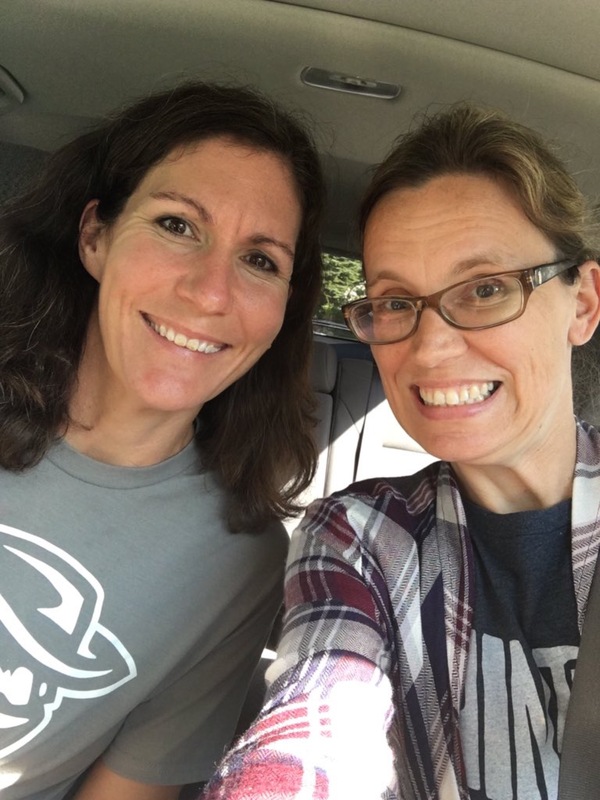 We got there in plenty of time – Jenn and I are of the same mindset that you must get there early. I like to get there early to get myself centered before the race (and use the potties 200 times), but I think for her it is more about parking. Joshua’s sign gained A LOT of attention. It was so clever!! I settled into a fairly steady pace soon after my plunge from Mt. Everest and averaged between 8:30-9:20 until the halfway mark. All of this time, I had stayed in zone 2 heart rate, which was NOT the plan. The plan was to run 3-5 in zone 2, kick it up into zone 3 then give it everything at mile 20. Riiiiiiight. There were hills. LOTS OF HILLS. Downhills, too, which were just as bad because they were generally steep and I could tell my quads would pay for those soon. By mile 8, I could tell that the ups and downs were already taking a toll. I was on pace to run around 2:00 for the first half and I knew that my legs wouldn’t be able to keep up. I knew that I wasn’t going to hit 4:00. I HAD to reconcile this and not let it affect me mentally. I made a decision, though, not to slow down. What would that accomplish?? I knew I was going to slow down at some point and wanted to cover as much ground as I could before that happened. Despite the killer hills; despite shredding my quads on the downhills; despite my fueling issue; despite the rising temps; I still ran the first half in 1:55. As the second loop started, I could tell that I was slowing down. Now came the ever-burning question: when to use the last half of the fuel I had left? I had taken the first serving at mile 8, which was around the 1:10 mark. I decided to try to wait until 16, even if it was a bit past 2:20 (which I knew it would be! LOL). I was expecting an aid station at 16, but in the second half there was an aid station at 14.5 and not again until 17. So I took the UCAN at 17. This made me a little behind my re-fuel. I was beginning to fatigue and to add insult to injury, I had to stop for the bathroom, which ticked me off. I NEVER have to stop during races. Bleh. I could tell by mile 19 that my energy level was decent and had been steadied by the UCAN, but remember wondering if my legs would be able to take me another 7 miles. My quads were the problem and so fatigued from the downhills. I ended up taking the emergency GU at mile 21, just to make sure I kept my energy levels up for those last 5 miles. 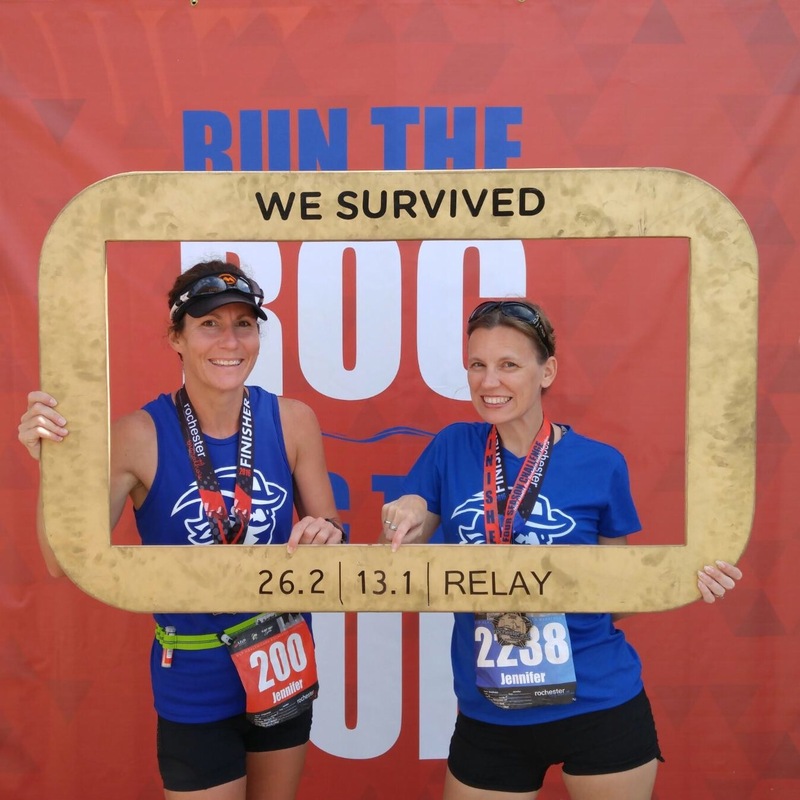 I had already slowed down – I was running between 10:00-10:30 min miles for the most part and I couldn’t afford to lose anymore time by losing more energy. All this time, I was STILL in zone 2. That seriously bothered me, but my legs didn’t have it in them to run fast enough to get my heart rate up. I finally crossed the finish line at 4:10:43, a PR by about 4 min 30 sec – yes, a PR was great but I would be lying if I said I wasn’t upset about not being able to run this race better. How can you be disappointed when you are almost tackled at the finish AND she tells you she ran the entire half?!? Joshua holding the signs Jenn made for me! We made our way to the results tent and I had snagged 2nd place in my age group! That was definitely icing on the cake! I laid down on a bench while Jenn went to claim her special medal for finishing the Four Seasons Challenge, then we went out to claim my Major Award! Survived is a good way to put it. THE HILLS. We ended up getting Panera for dinner, which made me happy :), and settled in to watch football before it was time to head to bed. I want to take this time to say HOW MUCH that I enjoyed spending the weekend with Jenn and her family. She told me before I came how much I would love her husband and her boys and she was so right!! I’m not going to lie. 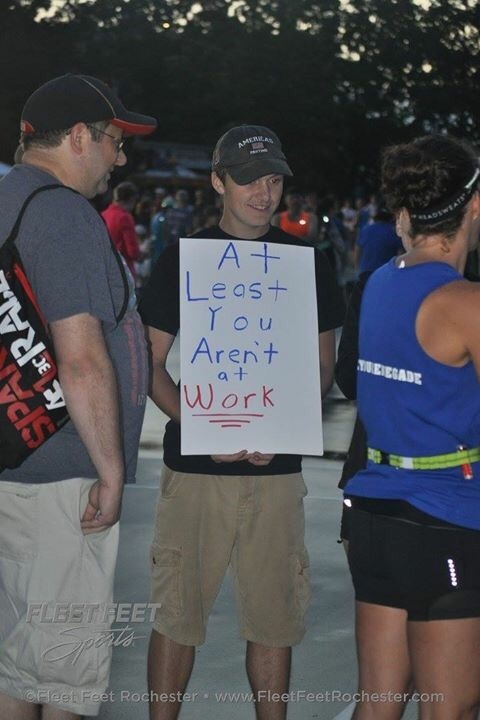 I was not happy that I didn’t run a sub-4 marathon. In my mind, getting to that point was going to be validation that I was on-track for Houston and my BQ attempt. I tried to focus on the positives. I tried to reason with myself with all the reasons that I should be proud of 4:10, but none of it worked. When my coach asked me what my feelings were about the race (I have a feeling that he already knew), he told me to list the negatives and the positives. That actually helped. My legs didn’t have it in them. Temps for the race had increased steadily and it was fairly humid. Why did my legs feel so dead when I never got out of zone 2? Was it solely the hills? Is any of it related to transitioning to metabolic efficiency? I mean, I just started this process. Why do I feel like I failed if I was able to come out with a PR and age group place? I have had a couple days to get the race endorphins out of my system and catch up on sleep. I did a little research and the elevation gain for Rochester (according to Strava) is 915 feet. The elevation gain for Dallas is 524. So I basically ran twice the elevation, or difficulty, and still managed a nearly-5 min PR. That actually made me feel better. I also need to remember that I had to overcome a setback with that psoas and I still managed a PR. Even more important and encouraging is that I have had no aches and pains aside from my quads. My quads were mad over those downhills, but they haven’t been grumbling too much. Most importantly, I am BLESSED. Blessed that I was able to travel to see my friend. Blessed that I can even run at all. Blessed that my body is healthy. So yeah, I was upset for a bit. I acknowledged my feelings, worked through them and have managed to find myself on the sunny side of the situation! THANK YOU to everyone for all your support!!! All the texts, Facebook, Twitter, Instagram messages and comments, for signing up for the tracking that didn’t work – YOU ALL ROCK!! Got my eyes on Houston! Well look at you! I think we all focus on the negatives after a race. The shoulda, coulda, woulda, will drive you nuts! Enjoy the journey, my friend!